•People, with brief biographical sketches; Books; Articles; Documents, Videos, Websites (URLs) and other resources. Kate Raworth, of Doughnut economics fame (https://www.kateraworth.com/author/kate-raworth/), asked people on Twitter to suggest books for changing the world. "Within a week, thanks to the Twitterati, 300 fantastic recommendations came pouring in. Lucy Feibusch [then] compile[d] the long stream of suggestions into one incredibly valuable list by clustering them into broad thematic categories - and she topped off each one with a one-line summary and link. You can download the complete list here as pdf or as a Googlesheet." Agrawal, Ajay, Joshua Gans & Avi Goldfarb, Prediction Machines - The Simple Economics of Artificial Intelligence, Harvard Business Review, Boston: 2018. They argue that AI's great asset is lowering the cost of prediction as well as increasing inequality. Akutagawa, Ryunosuke, Rashomon and Seventeen Other Stories, Penguin Classics, New York: 2009; also Kindle. The movie Rashomon, by Akira Kurosawa, is based on Akutagawa's short stories: "In a Grove" and "Rashomon". Andrés, José, We Fed an Island - The True Story of Rebuilding Puerto Rico One Meal at a Time, Harper Collins, New York: 2018. It can be done: he organizes volunteers, garners resources and feeds those in crisis millions of meals. Boccaccio, Giovanni, The Decameron, Prince Galehaut, Penguin Classics, New York: 2003. Originally published in 1353. One hundred stories on the human conditions, the first book published in the "vulgar" tongue. Diamandis, Peter H. and Steven Kotler, Abundance - The Future Is Better Than You Think, Free Press, New York: 2012. They look at: water, food, energy, healthcare, education, and freedom through the abundance lens. Easterbrook, Gregg, It's Better Than It Looks - Reasons for Optimism in an Age of Fear, Public Affairs, New York: 2018. "Our perception of the world should be fact-based." Enrique, Juan and Steve Gullans, Evolving Ourselves - How Unnatural Selection and Nonrandom Mutation are Changing Life on Earth, Current, London: 2015. Ripped from today's headlines! How evolution is now being driven by both nature and human choices. Ford, Martin, Rise of the Robots -Technology and the Threat of a Jobless Future, Basic Books, New York: 2016. An early warning about the nature of automation and how it will change the definition of work. Ford, Martin, Architects of Intelligence - The Truth About AI from the People Building It, Packt Publishing: 2018. Interviews with all of the primary contemporary movers of deep learning, neural networks and artificial intelligence. Frase, Peter, Four Futures - Life After Capitalism, Verso, London/New York: 2016. Technology and ecology as apocalypse and utopia. Equality, scarcity, hierarchy, abundance. Fuller, R. Buckminster with Jerome Agel and Quentin Fiore, I Seem To Be a Verb, Bantam, New York: 1970. "For the first time, we have a chance to be complete successes in our environment." Giridharadas, Anand, Winners Take All - The Elite Charade of Changing the World, Penguin Random House, New York: 2018. The givers give and somehow they take, too. How's that? How not to make real changes. Harari, Yuval Noah, Homo Deus - A Brief History of Tomorrow, Harper Collins, New York: 2015, 2017. After millennia of famine, plague and war: "Let's see what's on the agenda today." Harari, Yuval Noah, 21 Lessons for the 21st Century, Spiegel & Grau, New York: 2018. Harford, Tim, Messy - The Power of Disorder to Transform Our Lives, Riverhead, New York: 2016. This is about "not succumbing to the temptation of the tidy-minded approach." Hawken, Paul, Editor, Drawdown - The Most Comprehensive Plan Ever Proposed to Reverse Global Warming, Penguin, New York: 2017. Climate change is the challenge of our time, now. We need plans like this and others. Huizinga, Johan, Homo Ludens - A Study of the Play-Element in Culture, Roy, New York: 1938, 1950. "There is a third function…just as important as reasoning and making -- namely playing." Hyde, Lewis, The Gift - Creativity and the Artist in the Modern World, Vintage, New York: 1979, 2007. A way of living from long ago that would work now to enhance creativity. We need gifts and to gift. Jesuthasan, Ravin & John W. Boudreau, Reinventing Jobs - A 4-Step Approach for Applying Automation to Work, Harvard Business Review, Boston: 2018. People are beginning to think deeply about employment changes now on the horizon. Joyce, James, Finnegans Wake, Faber & Faber, London: 2002. Originally published in 1939. The most adventurous work of literature, full of humor, puns, prophecy and prescience. Kelly, Scott, Infinite Wonder, Penguin Random House, New York: 2018. Extraordinary perspectives and abundant contexts for where we all live now. Kennedy, James, Russell C. Eberhart, with Yuhui Shi, Swarm Intelligence, Morgan Kaufman, San Francisco: 2001. Swarms seen in the context of intelligent adaptive behavior and evolutionary computation. Keynes, John Maynard, “Economic Possibilities for Our Grandchildren,” in The Essential Keynes, ed. Robert Skidelsky, Penguin, London: 2015, first published in 1930. One of the best visionary essays of our times. Brilliant speculation, rooted and grounded. Keynes, John Maynard, Essays in Persuasion, W.W.Norton, New York: 1963, pp. 358-373. He understood what was coming before others. He knew what we would be facing. Koehn, Nancy, Forged in Crisis - The Making of Five Courageous Leaders, Simon and Schuster, New York: 2018. Is it crisis that will bring us to our senses? How have leaders done it in the past? Lanier, Jaron, Who Owns the Future?, Simon & Schuter, New York: 2013. He asks the questions of our relationship with tech that we all need answered. Lee, Kai-Fu, AI Superpowers: China, Silicon Valley and the New World Order, Houghton Mifflin Harcourt, New York: 2018. An insider view of the future of machine intelligence on the geopolitical stage. Lewis, Michael, The Fifth Risk, W.W. Norton, New York: 2018. How government in the US is mired in yesterday and more. McLuhan, Marshall and Quentin Fiore, War and Peace in the Global Village, Bantam, New York: 1968. Another Quentin Fiore communications masterpiece, bringing McLuhan's insights to the page anew. Moore, G.E., Principia Ethica, Dover, Mineola, NY:2004, pp. 183–224, first published 1903. The ethics opus of its time. O'Reilly, Tim, WTF - What's the Future and Why It's Up to Us, HarperCollins, New York: 2017. WTF? can be an expression of amazement or an expression of dismay. Pinchbeck, Daniel, How Soon Is Now? - The Handbook for Global Change, Penguin Random House, New York: 2017. The world needs many systems to change and many people to awaken, perhaps as one global tribe. Pinker, Steven, Enlightenment Now - The Case for Reason, Science, Humanism and Progress, Penguin Random House, New York: 2018. He's got a point: so much is better now than at any other time in history. And many things keep getting better and better. Reese, Byron, The Fourth Age - Smart Robots, Conscious Computers and the Future of Humanity, Atria, New York: 2018. A will reasoned and articulated look ahead. Underscores many problems and potentials. Rosling, Hans, Factfulness - Ten Reasons We're Wrong About the World -- And Why Things Are Better Than You Think, Flatiron, New York: 2018. His Ted Talks are astounding, informative and surprising. Here's some of that in a book. Rushkoff, Douglas, Team Human, WW Norton, New York: 2019. It's time to remake society together, not as individual players but as the team we actually are. Russell, Bertrand, In Praise of Idleness and Other Essays, Simon and Schuster, New York: 1972. The very concept of "idleness" now sounds almost archaic, but we need to convert the current version soon. Smil, Vaclav, Energy and Civilization - A History, MIT Press, Cambridge, MA: 2017. A favorite book, on the full nature of energy, of Bill Gates. Srnicek, Nick and Alex Williams, Inventing the Future - Postcapitalism and a World Without Work, Verso, London/New York: 2015, 2016. Will there be a post-capitalism, as these progressives propose? What's next? Stapledon, Olaf, Last and First Men, Dover, Mineola, New York: 2008. First published in 1930. The original future history of humanity. Many science fiction plot lines. Stapledon, Olaf, Star Maker, Millenium, 1999. First published in 1937. His follow-up to Last and First Men. Who makes the stars? Wiener, Norbert, The Human Use of Human Beings - Cybernetics and Society, Houghton Mifflin, Boston: 1950. His speculations on automation were prescient, especially in the original 1950 hardcover edition. Zuboff, Shoshana, The Age of Surveillance Capitalism: The Fight for a Human Future at the New Frontier of Power, Public Affairs, New York: 2019. John Maynard Keynes, “Economic Possibilities for Our Grandchildren,” first published 1930,. Bertrand Russell, "In Praise of Idleness," Harper's, October, 1932. Charlie Tyson, "Virtuosos of Idleness, The Hedgehog Review, V. 20, No. 1, Spring, 2018. Yanis VarouFakis, "Imagining a new Keynesian Bretton Woods," World Economic Forum, 6 May 2016. Ideas, speculations, thoughts, talks, notes, etc. Tell them what you’re telling them. Said to me by the late, great Gene Fairly. I’m talking tonight about making the world work. As I speak, I hope you pay attention to how you are feeling and what comes up for you. First, I’ll give you some brief information about the people I mention and quote in my presentation. Looking into all of them, and learning more on your own about them, will be rewarding for all. Next I’ll make my presentation talk. When I finish my talk, I’ll ask you to self-organize into dyads, triads, whatever configurations, and discuss your reactions for about ten minutes. Then, we’ll have a conversation about world working, rather than a Q&A with me, the speaker. At the conclusion of our discussion, I’ll attempt a brief summary. Richard Buckminster (“Bucky”) Fuller (1895 -1983). My inspiration. Architect, creator of the geodesic dome, the dymaxion one island earth map, and author of many books. Ellen Johnson Surleaf (b. 1938 - ). Former president of Liberia. Winner of the Nobel Peace Prize in 2011. Thomas Robert Malthus (1766 - 1834). Economist, demographer and author of An Essay on the Principle of Population. Maximilian Karl Emil "Max" Weber (1864 - 1920). Sociologist, philosopher and author of The Protestant Ethic and the Spirit of Capitalism. Charles Robert Darwin (1809 - 1882). Biologist and author of On the Origin of the Species. Herbert Marshall McLuhan (1911 - 1980). Author of many books, especially Understanding Media and The Gutenberg Bible. Gerd Stern (1928 -). Poet, artist, multi-media inventor and so much more… His latest book of poetry, WHENTHEN, was just published. Arnold Toynbee (1889 - 1975). British historian and philosopher of history. Author of the multi-volume A Study of History. Sir Arthur Charles Clarke (1917 - 2008). Author of many books in science fiction and more. Clarke, in the late 1940s, conceptualized our contemporary satellite communication system. Margaret Mead (1901 - 1978). Cultural anthropologist and author of Coming of Age in Samoa. Johanna “Hannah” Arendt (1906 - 1975). Philosopher and political theorist and author of many books, including: The Origins of Totalitarianism and The Human Condition. Marty Perlmutter (1948 -). Media pioneer, activist and author of The Leafblower’s Lament, just published. Pierre Teilhard de Chardin (1881 - 1955). Archeologist, geologist, Jesuit scholar and philosopher. Author of many books, including The Phenomena of Man. He popularized the concept of the noosphere, like the geosphere and the biosphere, i.e., the noosphere is the sphere of human thought and consciousness. I’m wearing my t-shirt depicting a scene from a painting by Hieronymus Bosch; he lived from about 1450 to 1516. I want to explain that what we gather tonight to talk about is what Bosch depicted in this painting, which is entitled “The Garden of Earthly Delights”. Though some may see what he portrayed as excess, I want to talk about a world of plenty, a true garden of earthly delights. What’s important? What should we be talking about everywhere, now? I believe that the most important issue to talk about is making the world work. Bucky Fuller talked about the idea that the world can work. Bucky said: there is enough to go around for everybody on spaceship Earth: The world can work. Though there are distribution problems, as well as terrible political and economic issues, we can make the world work. There are problems in the world, there will always be problems. But the problems that exist here on earth now, that keep the world from working, are problems that can be solved; and, then, the world would work. I’m going to devote the rest of my life to making the world work. For those of you familiar with the bodhisattva vow in Buddhism, i.e., “to liberate all sentient beings”, this is my version of that vow: to make the world work. Malthus said we live in a world of scarcity: that there is not enough to go around for everyone. Max Weber pointed to the Protestant ethic: in sociological theory, the value attached to hard work, thrift, and efficiency in one’s worldly calling, that are deemed signs of an individual’s election, or eternal salvation. Darwin emphasized these notions when he talked about survival of the fittest. Now, in the 21st-century, we live in the world dominated by theories of competition, striving and doing better than the next guy, having more. The one with the most toys wins. There’s no such thing as a free lunch. We’re not entitled to a living: we have to earn a living. McLuhan wrote about the idea that we are now living through War and Peace in the Global Village. Arnold Toynbee, the historian said that the 20th century was the biggest event in human history because the 20th century was when we started to take care of each other. We are now, in the 21st century, living through times of accelerating change and unparalleled social and cultural transformations. For decades I chronicled those changes in the domains of high technology. Now it’s time to change my focus and see how we can make the world work and work to make that happen. Clark is driving home two very important points in what he said. As advanced technology takes over more and more jobs, people will have, or have to find, different means of support; and to discover their meaning in life in ways that are not just from the job they do. Instead, the focus will shift to: What do you do? The second part of his quote is not metaphorical. The creative destruction of the current political, economic and distribution systems is what will be the basis of making the world work. My friend, Marty Perlmutter, asked me how I intended to make the world work. I replied “I wish I knew.” I do, however, have some ideas. I hope you have ideas, too, and that’s what we’ll talk about. A world that works will require more cooperation and collaboration. We will need to trust in the capabilities of human beings to selforganize. With communication and connection, new paradigms can and will emerge. We are all of the planet earth, our home, and the world can work. Let’s self-organize now, and talk amongst ourselves, for ten minutes. Then we’ll talk, all together. As I’ve worked on this website for making the world work, I’ve made notes, on a near daily basis, about the ideas and concepts involved. Yes, there is enough to go around. To really be enough, however, it really all has to go around. UBI won’t work unless all the basics required for life: i.e., housing, shelter, food, transportation, clothing, etc., are provided. Then, a universal basic income could supplement that series of basic provisions. At that point of this transition, in addition to the obligatory redefinition of work, there probably needs to be an additional redefinition: of money, and exchange. What is essential is allowing people to have what they need and what they want. Such a role for the government and the military to be providers and provisioners of such basics would be a good transitional space for government and the military to be in, as we move into the future. This would be part of the transition as we move from representative and authoritarian governments toward the future: self organization. From the working world to World Working. Abraham Lincoln quote the Gettysburg Address paraphrased: that organization: …of the people, by the people, for the people shall not perish from this earth. The old “globalism” is just a description of ways to do offshore trade and offshore distribution of work. The new globalism has to do with making the world work for the entire planet and all her inhabitants, throughout the globe. How much does it cost to find out how much it would cost to make the world work? Some forces driving prices in that regard would be difficult to assess because they might arise spontaneously or at various different times as people try to make the world work. A good example: it could only take in the probably low-to-mid single digit billions of dollars to equip every adult on the planet with a net-connected mobile device, one that had a connection to World Working, so that they could express their opinions of what will make the world work for them. In this way, the world working effort would know more about almost everyone; much of that data assessing can be done by machine. What does making the world work mean? The ultimate goal of making the world work would probably be something like “everything for everybody”. This would work if there were 3-D printing in excess as well fusion, to recirculate matter into energy, et al. how these essentials for world working could be equitably distributed so that people would feel they have enough even if they didn’t have everything. How surprised everyone would be if the world started working. Solving the distribution and set up issues involved with getting everyone a connected mobile smartphone, will enable us to foresee other problems having to do with improving distribution +. The cessation of war and the concept of peace have a great connection to the possibility of World Working. We’ve been wanting peace, but have never been without war. Wars are about: territories, possessions, properties, perceptions, judgments and more. If the World worked, we could obliterate many of these concerns, not all, but many. World working would enable new concepts of conflict resolution. Jobs will disappear as different kinds of robotics and machine intelligence take over certain functions, and other functions are relegated in different ways. People will lose their jobs. But, not having a job doesn’t mean that you don’t have anything to do. So, the determining factor is: what do you do? How to contribute to your community and to the planet? What roles are available and appropriate for the diverse cast of the world’s population? First things first: If the whole world is going to work, the whole world has to be connected in order to have a voice in what’s to be. The smart phone noosphere and giving everyone access to communication so that they can have a voice and access to a world of other voices. Then come essentials: like food and water, shelter and clothing, healthcare. All of these entail distribution issues. Access to community, however, to education, culture and the arts, these present different barriers to implementation on a global, local level. Promises, broken promises, hopes, dashed hopes, achievements, betrayals, progress, setbacks, progress, setbacks, etc. ——> world working. We need to start planning and taking actions toward making the World Work now: there’s no time to lose. We have had many successes and many failures as we’ve attempted to steer technology and control it. In both weaponry and with bio technology we’ve dodged many “bullets”. Now, we face similar and analogous issues in the control of machine intelligence and related technologies, for example, 3-D printing, robotics, et al. World Working is an alternative narrative to the current social economic and political organizations in place around the globe. We need this new view of how to proceed with life on earth if we will survive. We’ve had moon shots now we need earth shots. These should be provided to the persons in the countries most needing them. First start at the bottom, and from those countries develop delivery and distribution strategies for other countries.. In order to provide basic needs - food, shelter, water, healthcare, et al. – infrastructure will be vitally important. Roads and other infrastructure that are to serve in the service of distribution channels and living structures. All the people in the world are the customers of world working. Tithing: A reverse Lehman structure: 1% of the first million 2% of the second etc., …5% of every million there after. We live in a world dominated by 19th century memes, tropes and truisms: Malthus said we live in a world of scarcity: that there is not enough to go around for everyone. Max Weber pointed to the Protestant ethic and the notion that those who do the best go to heaven. Charles Darwin emphasized both of these when he talked about survival of the fittest. So we now live in the 21st-century, in the world dominated by theories of competition, striving and doing better than the next guy, having more. There’s no such thing as a free lunch. We have to earn a living, we’re not entitled to a living. The one with the most toys wins. Be good or you won’t get into heaven. Good means doing what the church says not what the church does. World Working Will require more cooperation and collaboration. We will need to trust in the capabilities of human beings to self organize. With communication and connection, new paradigms can and will emerge. We are all on, the planet earth is our home and the World can work. Those 19th century notions captured the 20th century. In the 20th century, Bucky recognized that we were all one, living on the spaceship hurtling through the solar system: spaceship Earth. Based on that observation he realized that the world could work. This realization of his has the potential to transform the 21st-century. Warmongering and the reward of bad actors are two other much older ways of thinking from the past. All of these patterns and ways of thinking dominate the contemporary weltanschauung. If we start really taking care of each other that will go along way toward the world working. Is world game a model for World Working? Mine the world design science decade documents for materials for World Working. This, world working.net/, is a website, not an organization. It is my hope that we, as the people of the earth, will take it upon ourselves, to self-organize in order to make the world work. We are the organization. I’m going to devote the rest of my life to making the world work. For those of you familiar with the bodhisattva vow in Buddhism, this is my version of that vow: to make the world work. One of the actions listed on the World Working website should be the continuation of Bucky Fuller’s idea of the world game. The game that people could play to make the world work. The gift, as a cultural way of living, and the book, The Gift. The potlatch. World Working, from my point of you, is predicated on any number of assumptions. These include the ever accelerating march of technology. This is especially so in the areas of machine intelligence, robotics and in general automation. Other advances in other sciences, e. g., biology, might well improve areas of technology like storage at the same time as they provide potential cures and treatments for illnesses that have the promise to enhance the lives of all, including future innovators and discovers. Despite current efforts to anticipate the pairing between humans and machines intelligence, machine intelligence will, in the future as now, replace and eliminate and otherwise reconfigure jobs and employment opportunities. In the short term, re-training efforts and redirection energies for people displaced from jobs will accommodate some and not help others. Sooner or later, attitudes about jobs, work, and identity will have to undergo changes and probably thorough transformations. The same job-displacing technologies, in a rose-colored lens view of the future, may also enable implementation of some of the communication and caregiving actions already outlined elsewhere at this website. The optimism implied in scenarios where people no longer have to work, have their needs provided for, and can choose their own lifestyles is, for some, scary and intimidating. Too many science-fiction narratives have speculated that without the purpose of a job and employment, people will flounder and not know what to do. I believe they will self-organize in ways which we cannot now imagine. The model of the founding of the United States of America: with the original documents, the Declaration of Independence, the Constitution, the Federalist Papers, et al, those who developed the US government provided a model of self-organization that was prescient and far reaching. It grew out of a rebellion against what was perceived as a tyrannical monarchy. In addition, those creating those documents had a whiff of the industrial revolution, then the air. We are now in far different times. We live in times of continuous, accelerating and relentless change: in technology development, in medical and biological development, and in social development. These accelerating forces are forcing us to consider and make many tumultuous changes and decisions about the nature of humankind’s future. Biggest paradigm shift that could enable World Working would be the transition from competitiveness to cooperation and caring. From the survival of the fittest to the survival of the planet. The way I’m working now toward making the world work is to think very seriously about the concept of World Working and all the problems associated with getting there. In addition to thinking deeply about these issues, I’m communicating with people who I think can make a difference in the effort to make the world work. One of the most important questions for making the world work is to investigate how things scale. There is no one right answer to the scaling issue. It was clear to me that neural network computing would be a working alternative to the brittleness of existing artificial intelligence. It wasn’t, however, until Geoff Hinton and the Google people realized how to make NNs work. This would take massive amounts of data and enormous computing power to finally allow neural network architectures and algorithms to properly scale and more fully function in their pattern recognition capabilities. Another example is the experience of chef Andres in Puerto Rico. Without much government intervention, if any at all, and only volunteer help, he was able to provide, in the space of weeks, 3 million meals to the people of hurricane ravaged Puerto Rico. Scaling will be important as we try to fill UBNs (universal basic needs). Marty Perlmutter outlined the three major issue questions I will be faced with as I endeavor to make the world work. He notes that people will say: without solving these problems, how can the world ever work? He pointed to Drawdown as an example of providing some of the solutions in the ecology area. When I presented talks about World Working, that include much of the material found on this website, I was surprised at the response from many in the audience. People recoiled from the optimism of my message. The idea that the world could work seemed too much. It seemed like viewing the world through rose-colored lenses to them. 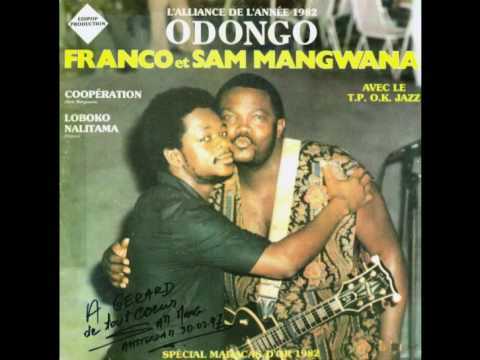 The World Working song: "Cooperation" by Franco & Sam Mangwana, on the album: The Rough Guide To Congolese Soukous. Chanté par Sam Mangwana, Franco, Lola Chécain, Josky Kiambukuta.